The trouble with late night party ducks is that unlike sensible chickens, they like to stay out late. They also quack, alerting any fox in the neighbourhood who then decides to drop into the party...unvited. We unfortunately had a visit from arather large dog fox the other day. The upshot was the very pretty white duck who had unwisely decided to make a nest in the bee garden was eaten, along with her eggs. We are now down to 11 ducks. The little brown duck who has successfully reared ducklings in the past and is a Good Mother has started a nest close to the greenhouse. Given how often the dogs and people walk along that path, I would be surprised if the fox bothered her. The bees have been a problem this Spring. At first they seemed to be doing well but were a small colony. Then in the cold April, they appeared to have subcumbed to a bee virus. Small colonies can have this problem. Because of the cold and damp we had not given the usual Spring tonic of apiguard. They were varroa free last autumn when inspected by the Bee Inspector. My son had treated for vrroa just in case in the autumn. My youngest swore there were no bees left or maybe a small cluster which wasn't viable as he could not find the queen and there was no brood. I duly ordered a Buckfast queen and her courtiers from Fragile Plant (to arrive early July). My youngest wanted it for his birthday and for a long time both my husband and I have hankered after a Buckfast strain of bees. Buckfast bees were originally bread by Brother Adam, one of the huge star of late 20th century British beekeeping. Besides the garden feels better with bees. Because of the fox incident, I decided to clean up the bee garden as we no longer had bees. When bees are in reisdence, it is always a very quick in and out as I dislike getting stung. The first day, I noticed one or two but my son swore they were the last remenants. Indeed a day or so later I was able to weed stright up to the hive and was a bit sad as the garden doesn't seem right. On Friday, I decided to do a bit more weeding. Two bees flew warningly over my head, coming straight from what I presumed was an empty hive. Scouts Guard bees? I beat a hasty retreat. You can by the sound of the buzz what is happening with the bees. My son swore that there could not be bees there and perhaps it had been some other colony robbing the hive. Because of his exams, he had not gotten around to cleaning up the hive and taking it away. I went out on Saturday morning. Many more bees and much activity. I stood and watched for awhile, the bees appeared to be taking pollen in. My son swore I was seeing things and even when robbing bees will sometimes have pollen on their legs. Late that evening a few bees remained, guarding the entrance way. On Sunday, more bees behaving precisely like bees behave around their hive. The bees are a bit lighter in colour than our old bees and the weather has been perfect for swarming. I suspect we have had a swarm take up residence in the empty hive. Because it is May, it will be a large swarm. Fingers crossed that the bees don't catch the same virus and that they stay. I also have the Buckfast queen and her courtiers to look forward to in early July. It is just good to have bees in the garden but the bee garden will remain half weeded! There is a very good way to tell if you have a successful character arc for your main character. Look at the first scene, look at the climatic scene. Did your character possess all the skills to be able to successfully complete the climatic scene in the first scene? Or would she have failed spectacularly? How did she have to change/transform ? What was it necessary for her to learn? If she doesn't have to transform or change, you don't have a character arc. In a romance, particularly a series romance that transformation must be directly influenced by the hero. In other words, the main agent for change for the heroine will have been her growing relationship with the hero. If she changes for some other reason, it is probably a story with romantic elements, rather than a romance. Today is one of those days where I had to force myself to workout. I woke up tired and with a headache. C1.2 is not an easy level. I can do about 25 reps of the collasping arm plank and then take a 2 sec break before getting to 30. There is no way I want to do 40 reps. All the other leg exercises I can do 40 reps with. the last one goes on and on so I do 80. My supporting leg aches at the end. I have not added the ankle weights as the thought of doing it with ankle weights makes me want to cry. I did the workout including hte Dance Cardio for 60 minutes, sweated buckets and then had to go back to bed for a couple of hours. I suspect I might be getting ill. I am currently hoping that I sweated enough so that any illness will be short lived. I have also had some beet root and pear juice as it is supposed to boast your immune system. I am still slightly in awe of the fact that I actually like beet root juice. Not all backstory is created equal. It is something I have muttered under my breath many times at a variety of workshops, particularly those which have you quickly create two characters. Simply filling out a generic character worksheet will not necessarily help you get to the heart of the problem for the character. You can risk creating a Frankenstien character. Equally doing character interviews etc, do not always work. Characters can be good at hiding what is important. What you are trying to find out is not the backstory that gives the character shape but the emotional would which propels the character through the story. Iglesias uses the term -- The Ghost. And that emotional wound is definately the Elephant in the Room which your protagonist is going to use all sort of lengths to avoid. It can take time to tease it out. I have been known to do extensive revisions because I incorrectly identified the emotional wound. Iglesias use Rick from Casablanca as an example. The ghost from his past which is driving him is Ilse and in particular her abandonment of him at the Paris railway station. It could make you ask -- did he have abandonment issues long before? Why does he leap to the conclusion that she has callously rejected him, rather than going and seeking her out after he gets her note? But I digress here. The other aspects of Rick's backstory -- American, former gun runner, bar owner etc do not drive the story in the same way that his former relationship with Ilse drives that story. In order to grow and change, Rick needs to lay that Ghost to rest. Otherwise he is doomed to failure. The thing you always need to remember is that if your protagonist could successfully accomplish the climatic scene in your story at the very beginning, you do not have a character arc and therefore you don't have a character driven story. You also need to make sure it is the correct emotional wound. Pick the wrong emotional wound and your story goes off in a totally unexpected direction. The emotional wound must be directly related to the theme of the story. You also need to decide IF you have a protagonist or co-protagonists. It makes a difference to the way you develop the character arcs. Having devoured Writing for Emotional Impact, I am now devouring Dara Mark's Inside Story --The Power of Transformation. The books are highly complimentary. One deals with getting the emotion on the page. The other deals with structure and understanding how the character arc must effect that structure. I will deal with some of my insights later. Basically all this is confirming what I had thought about my R'ed ms and is showing me how to fix it. I am doing something slightly different this time and will see if it works. Often I find it is great to discuss theory or pick apart movies/books to find the turning points to suit various methods, but it is another thing ENTIRELY to actually write a manuscript. It is all about mastering craft. My post contract splurge was to get 2 writing craft books. Fiona Harper is my new go to guru for finding great craft books. She recommended Dara Marks Inside Story and it has been on my wish list for awhile. I plan to spend awhile reading it...but when I ordered it from Amazon, I noticed another book -- Writing for Emotional Impact by Karl Iglesias. His basic premise is that is it is not about plot points, it's not about act structure, it's not about character, but it is all about EMOTION.. in paritcular delivering emotion to the reader. His book is on how to create the WOW! feeling. It is a book full of techniques to create empathy and emotion. Many of them I already use but it is good to see them written down. And I do so agree that story telling is about delivering on the emotion. If you can get the reader to emotionally connect with characters and feel satisfied at the end, they will keep coming back for more. He goes through many movie points and explains the various tricks. For example why is Melvin in As Good as It Gets not a thoroughly repellent character. He is obnoxious, rude and the audience has sympathy for him as he struggles to overcome his OCD. They are techniques rather than rules. It is about understanding the nuances and playing with the palette of emotion. It is also about how you show those emotions and traits. Iglesias goes into the six ways you can reveal character on a page. He also explains about high concept and concept. His explanation of back story and The Ghost (or unhealed emotional wound) is so clear cut that I wondered others hadn't done so before. I have sat in workshops, muttering under my breath -- that not all back story is important or created equal. And I loved his quick way to get to the heart of any character. It is not a beginning writing book and if you don't know that much about structure, you need to read something else first. But it does dovetail a lot with Orson Scott Card's Characters and Viewpoint. I think it has been worth adding it to my tool kit. I do worry about getting enough emotion on the page, but not so much that it becomes unbearable. There is a balance to be struck. I am also mindful of Twyla Tharp's analogy of polishing the clock. You have to keep working on different things so your skills don't go rusty. It is all about continually improving your mastery of craft so the reader can have a better emotional experience when they read the book (or manuscript). It should be remembered that your first reader is always a jaded agent or editor and it is all about making that connection. From a distance you can see clearly why a project did not work and what needs to be done on it. I can also see that my writing has grown, particularly wiht character development. The main problem with the ms that was R'ed back in Dec 2010 was I started in the wrong place. 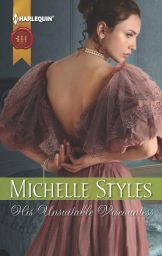 However, the right place to start means that it was not and never could be a Harlequin Historical with its intense focus on the growth of the emotional relationship between the hero and heroine. Equally I ended it too soon. The one scene I had clearly in my head was never written and it needs to be. It is a single title with a romance as its backbone. I had promised myself to revisit the ms after I finished the contract (that happened last week) and I have done. The story has a lot of good points but I started it in the wrong place and ended it in the wrong place, plus I added a subplot that goes nowhere. The story can be redone and will be the better for it. I read the proofs for Hattie Wilkinson Meets Her Match and was impressed. I can clearly see how I have developed. Some of this is down to my editor and some of it is down to me pushing and deciding to work with my voice, rather than against it. That which does not kill us makes us stronger and so it has proven with the last few books. I have built time into my new contract and so I do have the time to revisit and really think over the why did I make this choice and what if's. Like a sore tooth, this particular ms has been bothering on and off. In thinking about it in adifferent way, suddenly I have had colour images flash into my head. I know I am on the right track when that happens. I have to start my next HH on 1 July so the time to act is now. Right I am on the second part of Continuity. Day 198. I can safely say I have never followed an exercise programme for this long. TAM does what it says. Tracy Anderson really gets in there and starts redesigning your body. Redesigning takes time. I have just previewed C1.2 L3 which includes a plank where you collaspe down on your right arm while swinging your right leg under your left. You then straighten, kicking back and raising your right arm to a full plank position. Amazingly I can do it. How many remains to be seen but it is not so bad. This is from the woman who loathed all planks. A number of the exercises in previous levels have included a collasping arm so I know how to do it. My balance is getting better. I can balance two handed on an upright weight, while swinging my leg in the air, without falling over! I was wearing ankle weights at the time so totally pleased with the progress. The balance moves really help with the abs. I have learnt that it is best practice to be able to do all the reps for 3 days straight, and then add the ankle weights. It works and does give an extra challenge. It also gives more of a burn if you do it that way. I love the endorphins that 60 min of DC brings each morning. It gives me space to think and clear my mind. And yes I know I have promised a picture of me, preferably with my shoulders and arms exposed. it will happen. I am proud of them. I am also starting to get proud of my back and my bottom is looking much more rounded. My saddle bags appear to be gone. There is still more to come but really it is the mental challenge that I do love -- the falling over at the start only to be able to perform the exercises (with ankle weights) by the end of the 10 days. I recieved my AMBA (Association of Mills and Boon Authors) invite for the September lunch so it is another target date to keep me on course. Actually I find working out every morning does wonders for my mood. You start for shallow reasons and continue on for mental health benefits. Workwise I have started a couple non Harlequin projects because I have built time into my schedule. We shall have to see where they take me but it feels like I am doing the correct thing. And I am looking forward to writing my Vikings. My editor emailed yesterday to say that she liked what I had done to Sophie and Richard and the manuscript was now accepted. Sophie was featured in To Marry A Matchmaker. She was the ward of the hero who had found recourse to apply a frying pan to the head of her would-be seducer. I had great fun writing it. It was the last book in the current contract, so my editor offered me another one. This time I get to concentrate on Vikings. My Vikings are proving popular and so I get to write some more. Always good. Yesterday passed and it was tough. We have decided that Heathcliff will be the solitary cat in the household. We learnt from our long ago expereince when Marmalade died and thought Treacle would need a playmate so quickly got 2 kittens. Treacle disliked the kittens intensely, turning the house into WW3. Then when Joss the border collie died and we got Tess and Hardy, Chile was not overly pleased. Ironically we got two dogs because we were certain Chile would soon go. 3 years later, Chile is older and grumpier than ever but very much around. It took him about 6 months to used to Hardy and Tess. The two who are off at uni thought we must be calling about him when we called about Mr Darcy. Sometimes, if it is your time, it is just your time and if it isn't, it isn't. Being an author means that I will remember the emotions. Am I being selfish in hoping that I have done enough grief for awhile? But grief is the price we pay for loving animals and the love and joy we get is worth the pain. Suddenly and without warning last night, Mr Darcy collasped and died. I put him to bed (the animals sleep in the kitchen and if allowed up at night the cats wake us up) and went back upstairs to get his brother who decided to hide under my bed. Getting Heathcliff out from under a bed can involve giving blood. I then went into the kitchen to see if I could entice Heathcliff with food, but instead I discovered Mr Darcy collasped in a heap on the floor. No vomiting. No warning. He seemed perfectly healthy before this. He died in my arms a few minutes later. I am not sure of the cause. He could have fallen and broken his neck. Why? How? He hated jumping sometimes and was cautious. All I know is that he died. All the humans are devastated. Mr Darcy was a particular favourite of my husband's. He was a fantastic character who brightened our lives for a few years and now is gone. On balance I'd have rather had him in my life than not and that is really all you can say. Love hurts but it is so worthwhile. This is the cover for my August release. I love and adore the dress. Imagine wearing those sleeves! And the model they used for Eleanor does have the look I wanted -- a dancer's type build. I hope other people like it. I shall have to get the excerpt up and on to my website now. I haven't updated on my bees recently. The hive survived the winter. Hooray. I am not sure what happened in March when we had a few good days. Anyway, it would seem like we now have a new queen and the colony is building. My youngest paniced a bit when he couldn't see the queen in mid April but reported that there is now a healthy amount of brood. Because it is a small colony, I had him put in an entrance block -- this makes it easier for the bees to defend the hive against intruders, including mice. The big problem is the cold and rain. Wettest April for 100 years and May seems now better. However there are plenty of flowers out in the garden....when they can fly. Bees don't fly in the rain. One of the big problems for bees can be when gardens become green deserts -- few flowering plants and lots of evergreen or grass. Bees need flowers. Speaking of flowers, I was really pleased to discover a trillium in the winter garden. We had planted trillium bulbs years ago but nothing happpened. Then suddenly this year, we have 3 delicate flowers. Patience can be a virtue in gardening. The apple blossom is almost out in back paddock. This morning a male and female bullfinch were busy snacking on the blossom. They missed the damson blossom but they are endangered so I can't get cross about the apple blossom. Plus they were snacking on the tree which had a lot of apples last year. I sent my revisions off to my editor yesterday. She just emailed to say that she has it. I think the manauscript is now far stronger. I hope the motivations are now on the page instead of in my head. I knew what I was planning to write next. HOWEVER, I had a hero pop into my head and refuse to leave. From past experience, I know his story will be next. Trying to deviate won't really work. SOmetimes I wish there was a logic to my process but there isn't. Let's hope this story is relatively straight forward to write. Powerful heroes can be hard to control.